Having a professional resume is an important part of most job applications. If you have never made one before, the process can be a bit intimidating, but it really shouldn’t be. 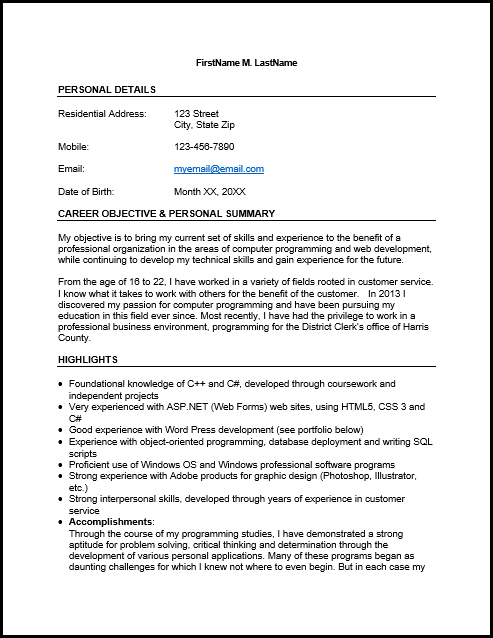 Included here is a sample resume that you may view and download. If you’re looking for a quick and easy way to create your own, we encourage you to download our sample and use it as a template. Simply modify it using Microsoft Word or WordPad to include your own information.